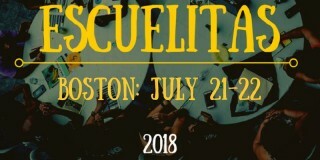 We are so excited for our Elders Panel at the Boston Escuelita for Latinx changemakers this weekend July 21-22! Here’s a preview of the poderosxs that will be sharing time and experience with us. Check out the full agenda aquí. “Today I am alive because of love,” Felix D. Arroyo told reporters, surrounded by family members, his doctor and Municipal Sergeant Roman Colon Jr., who performed CPR on him after he collapsed, and revived him with a defibrillator. Long active in Boston’s civic and political spheres, Arroyo, 70, was elected Register of Probate in 2014, becoming the first Latino to be elected to statewide office in Massachusetts history. Arroyo ran for the Boston School Committee in the 80s, becoming the first Latino to run citywide and the first Latino to pass a primary. He held various positions on the Boston School Committee throughout the 90s and in 2003, served on the Boston City Council. During his recent time in the hospital, community members rallied around his cause, with over 100 people turning out to a prayer vigil in Lower Roxbury May 7. Read more about Felix aquí. Excerpts and photo for this bio taken from this article by the Baystate Banner. 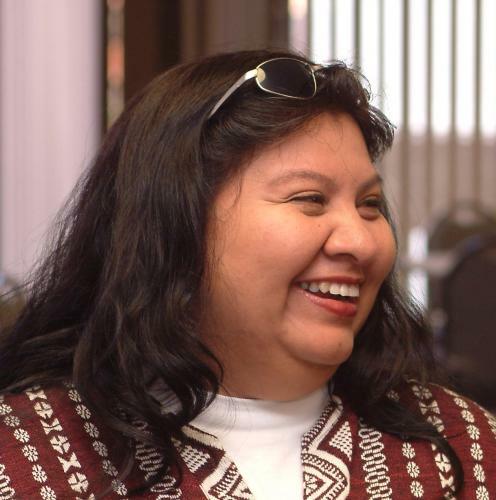 Originally from El Salvador, Jeannette Huezo came to the US in 1989. She has spent her life working for justice and social change. Jeannette is the Executive Director of United for a Fair Economy and also coordinates UFE’s popular education work and facilitates many workshops, particularly for Latino groups. She is also co-author of several of UFE’s State of the Dream reports on racial economic inequality in the U.S. In developing confidence and leadership skills in others, Jeannette has increased the number of activists in the struggle for social change, and has empowered women, immigrants and others facing injustice to participate in the decision-making process around issues that affect their lives. Jeannette is the mother of nine children, all currently in the United States. Read more about Jeannette aquí. Carlos Rosales is originally from El Salvador, and came to the US in 1989. Carlos brought with him 9 years organizing experience in the rural coops, in the US his first organizing job was with the Coalition for Basic Human Needs (CBHN), organizing low-income women to fight for their rights. Carlos spend four years with Mass Tenants Organization were he worked as tenant’s organizer and was promoted as executive director; also worked with the Mass Seniors Action Council, as a senior housing organizer, he was the Coordinator of the Latino Coalition in East Boston; with IWCC (Immigrant Workers Center Coalition) was the first coordinator, organizing immigrant workers like himself to find their voice forming their worker Center, right after went to IBA as resident services coordinator. For the last 5 years he has been working in the service field, as social worker in different agencies as EMPATH, Carlos always has been connected with the social movement in El Salvador, he has been participated twice as international observer for the election in El Salvador as part of the CISPES delegation. He is a co-founder of the Salvadoran Initiative for Education and Culture, a small volunteer organization which mission is to keep alive the memory historic, making the connection with the reality that Salvadorans faced here and the struggle that is facing the communities in El Salvador, this work had been done using the art, culture and political education.